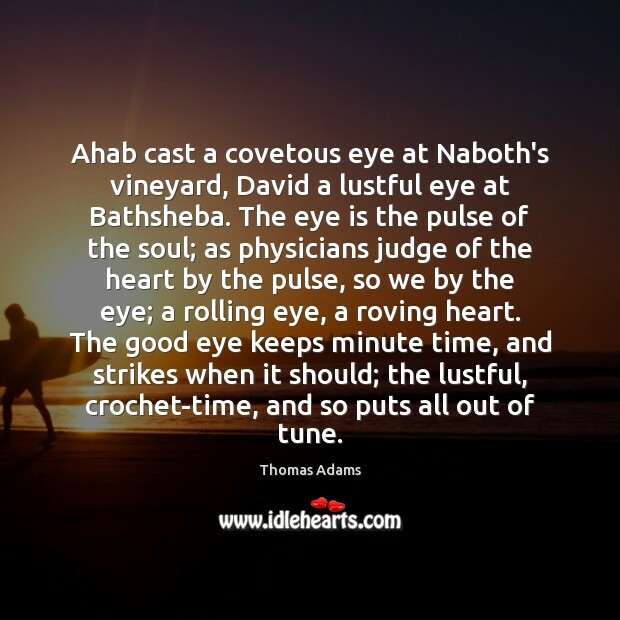 Quotations about Ahab. Quotes to stimulate mind and drive action! Use the words and quote images to feed your brain inspiring things daily! 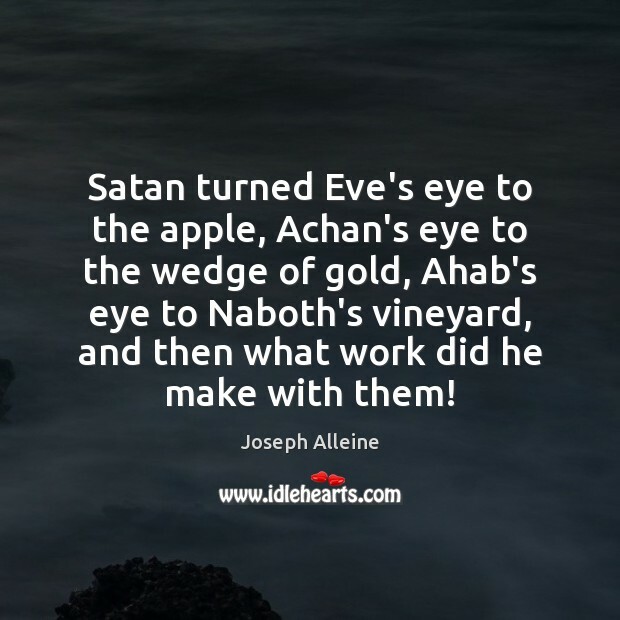 Satan turned Eve's eye to the apple, Achan's eye to the wedge of gold, Ahab's eye to Naboth's vineyard, and then what work did he make with them! 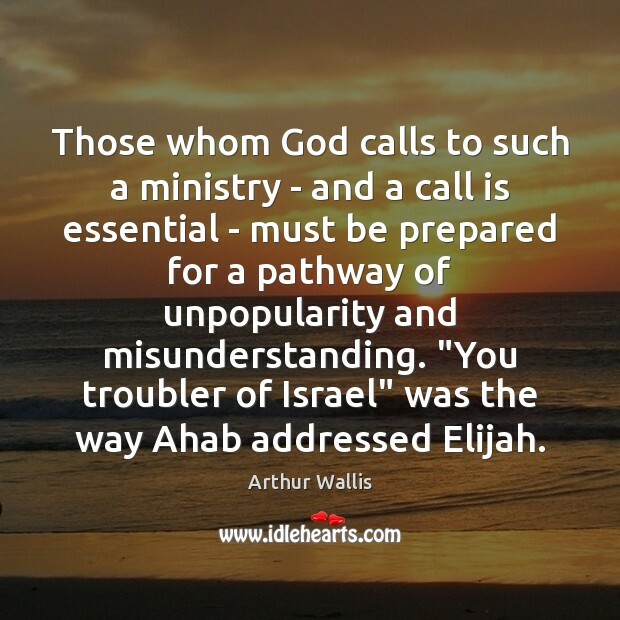 Those whom God calls to such a ministry - and a call is essential - must be prepared for a pathway of unpopularity and misunderstanding. 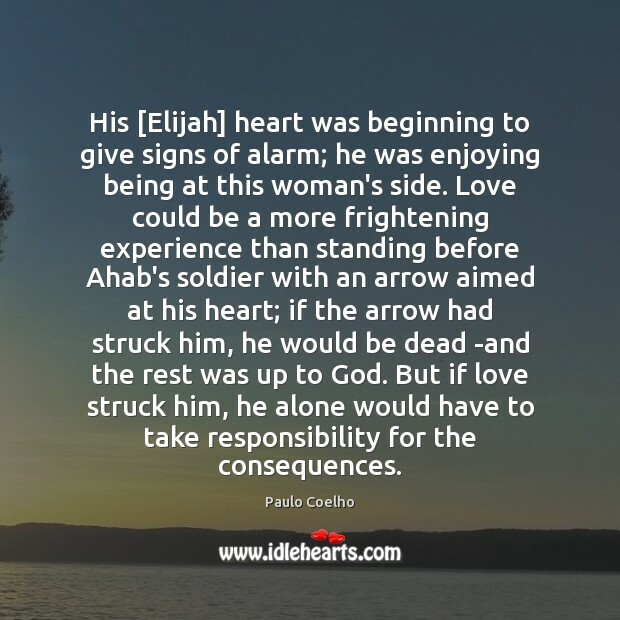 "You troubler of Israel" was the way Ahab addressed Elijah. 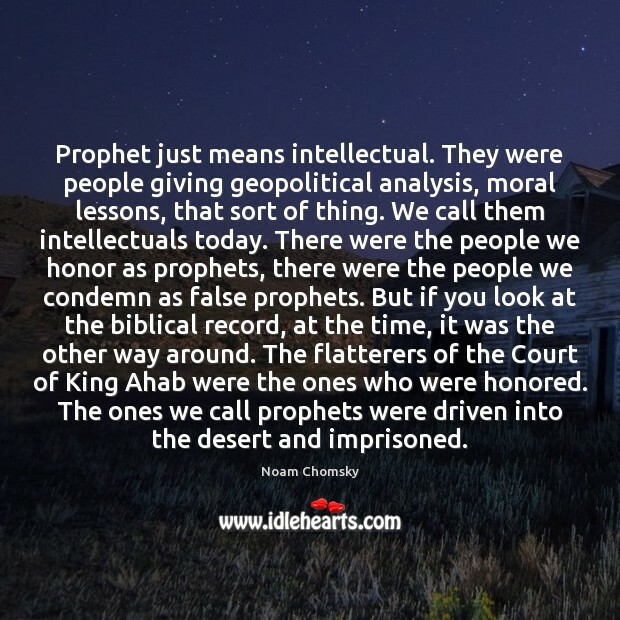 Prophet just means intellectual. They were people giving geopolitical analysis, moral lessons, that sort of thing. We call them intellectuals today. There were the people we honor as prophets, there were the people we condemn as false prophets. But if you look at the biblical record, at the time, it was the other way around. The flatterers of the Court of King Ahab were the ones who were honored. The ones we call prophets were driven into the desert and imprisoned. 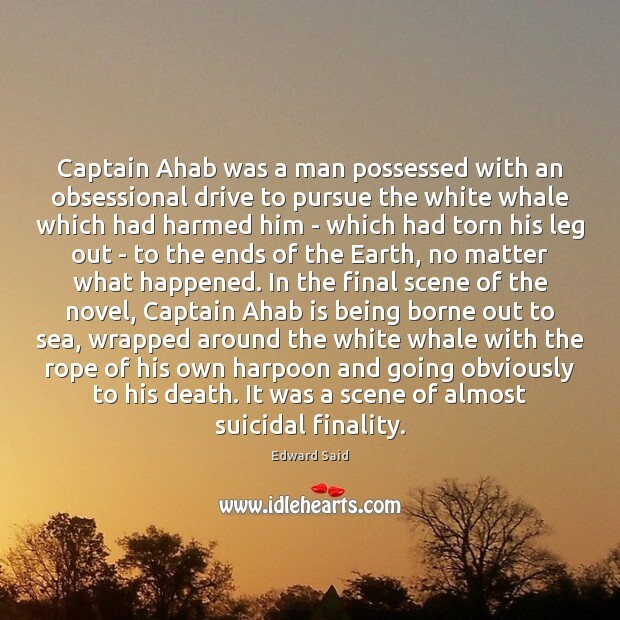 Is Ahab, Ahab? Is it I, God, or who, that lifts this arm? 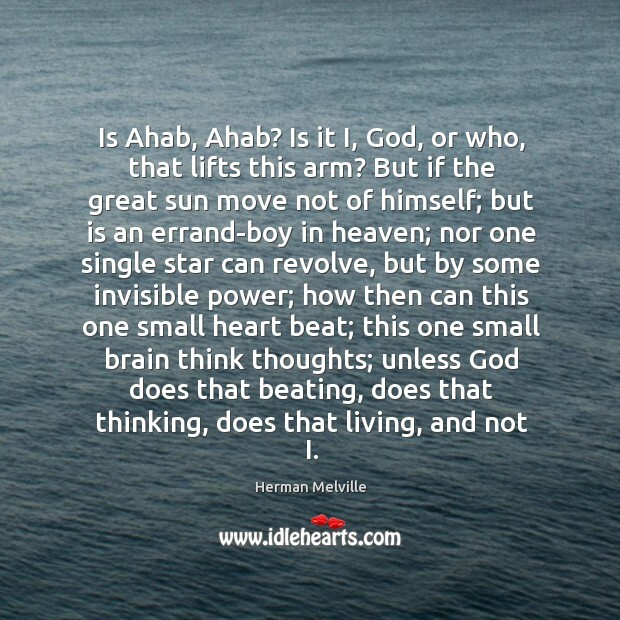 But if the great sun move not of himself; but is an errand-boy in heaven; nor one single star can revolve, but by some invisible power; how then can this one small heart beat; this one small brain think thoughts; unless God does that beating, does that thinking, does that living, and not I. 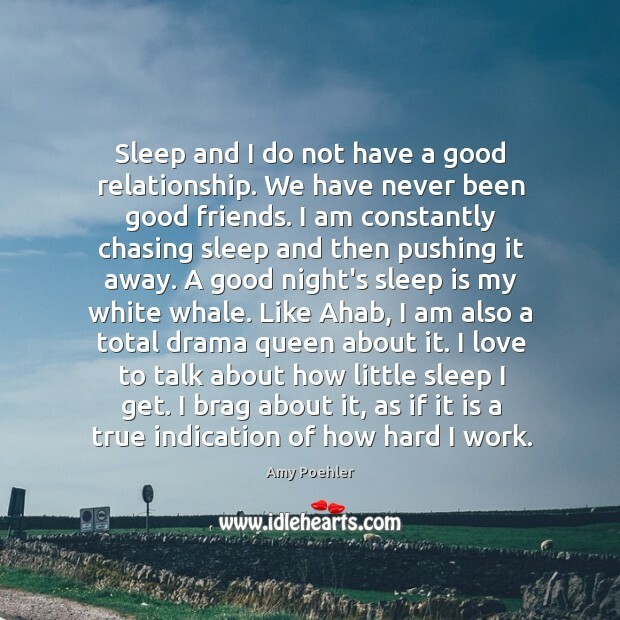 Sleep and I do not have a good relationship. We have never been good friends. I am constantly chasing sleep and then pushing it away. A good night's sleep is my white whale. 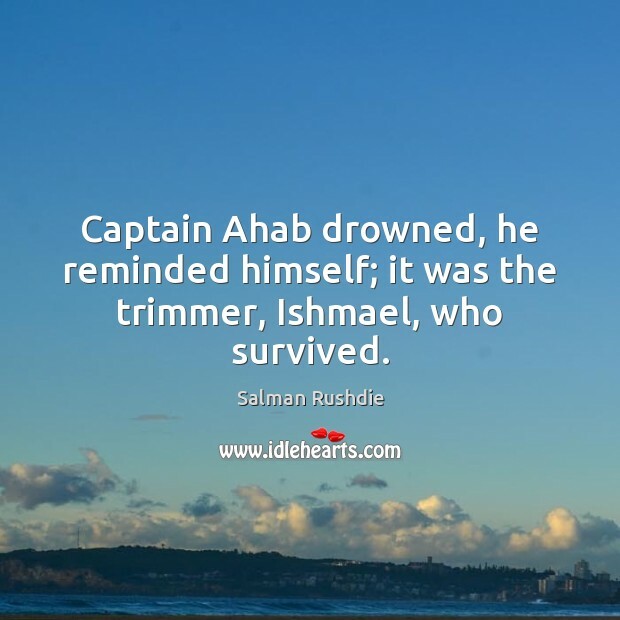 Like Ahab, I am also a total drama queen about it. I love to talk about how little sleep I get. I brag about it, as if it is a true indication of how hard I work.